Organizing conferences has been part of my work portfolio for the last couple of years, but it did not cross my mind at any point that someday I will be part of a team putting together one on a personal front on a topic that relates closely to my heart: Food. 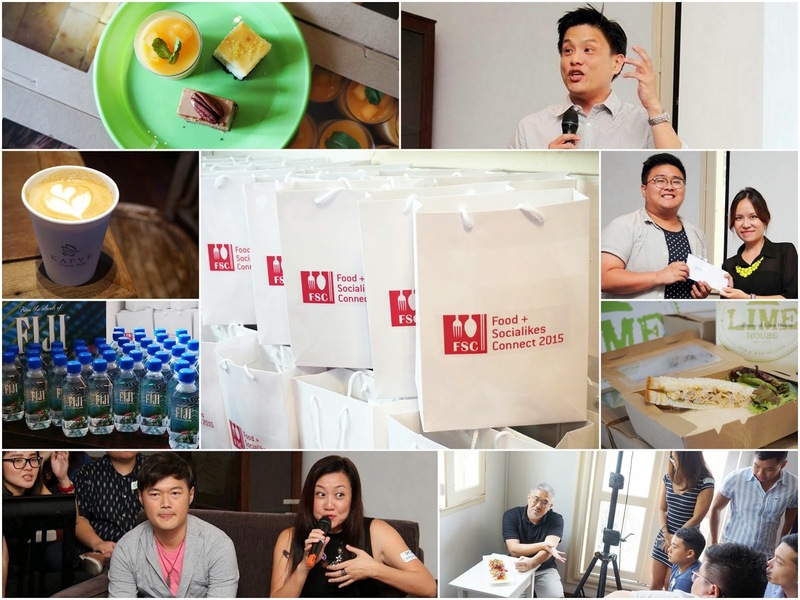 Food + Socialikes Connect 2015 is the inaugural Food And Social Media Conference in Singapore for food bloggers and instagrammers. 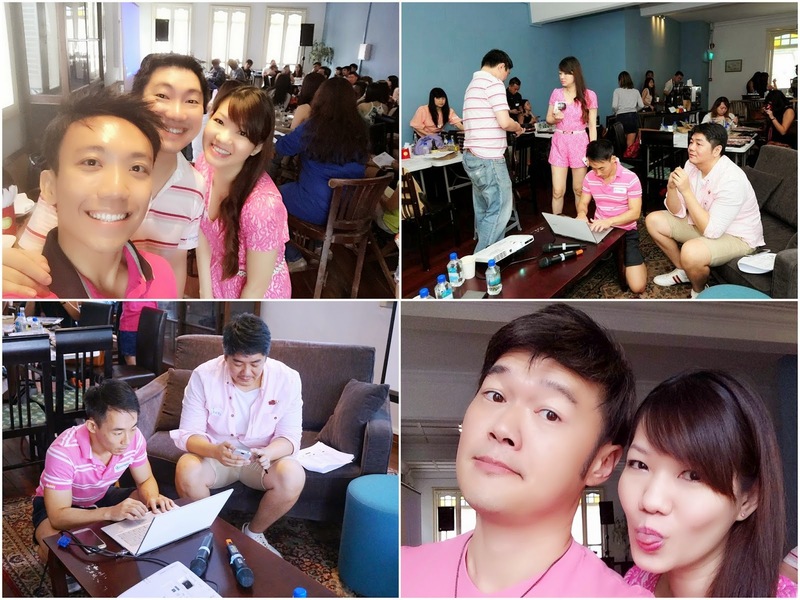 PinkyPiggu is happy to be in the organizing committee with Aries (@ironsage), Derrick (SG Food On Foot), Nat (Rubbish Eat Rubbish Grow) and Nicholas (@stormscape). The idea came about when Nat attended the Eat, Drink, Blog, the 5th National Australian Food Bloggers' Conference in Brisbane last year as a keynote speaker. 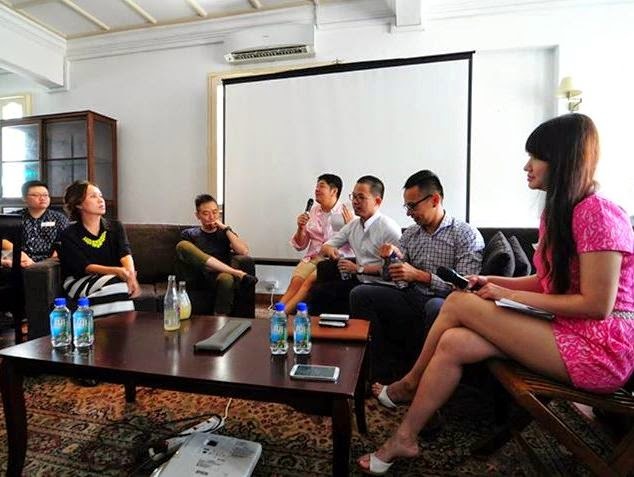 He feels that a similar conference would benefit the food social media scene in Singapore, by building knowledge and community spirit among social media users. Like in all sectors, the social media sphere has some skeptical bloggers/instagrammers who create bad blood, and cause controversy. We hope to counter the negativity, and produce goodwill and understanding among the community. Next came the actual work: Brainstorming, Planning, and Execution. It kept us busy for the last 5 months! The easiest and most fun part was the brainstorming sessions. We had so much that we want to do, so much we want to discuss, that in the end we have to take a vote to decide on the final topics. One thing we were very clear from the start though: The conference program will definitely include a good mix of talk, workshop and panel discussion to reduce the chances of you falling asleep or leaving halfway lol to keep our socialikes (aka conference delegates) interested till the very end. Once the core agenda was formed, we moved into detailed planning for each aspect. Who should do what, who should be contacting who, we each have our own strength, resources, and contacts to tap into. As we all have our day job/blogging/personal commitments, time was a perpetual challenge but what warmed my heart was that everyone in the committee chipped in to do whatever we can. There was no arguments, no one was ever calculative about the degree of effort each individual put in. This is teamwork epitomized! One worry which haunted us initially was "what if no one comes?" But once the online registration was opened, responses were so overwhelming that we even had to close the sign-up period earlier than expected (limiting to 50 socialikes as we prefer to keep the group small and manageable). The plans began to fall into place as conference date drew near, though not without hurdles. Tasks also literally got hands-on: Packing goodies bags and setting up the venue the night before, running around ensuring all are being taken care of during the big day itself, clearing rubbish from the venue when everyone left, Aries and Derrick bringing bags of heavy trash down two flights of stairs (and up and down again). We were all physically and mentally exhausted by the time the conference was over. 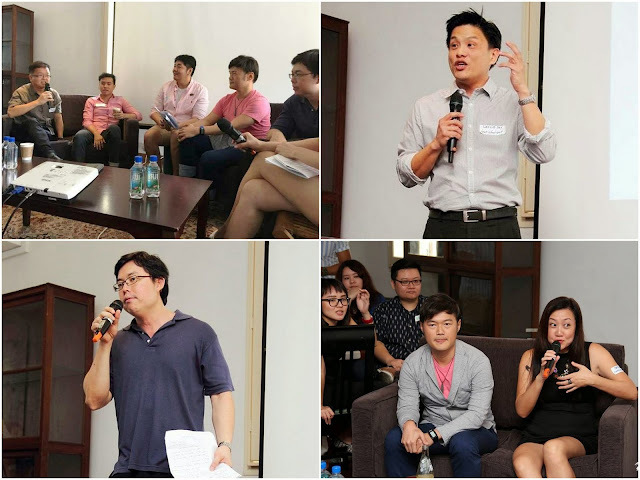 The program we planned are only good on paper, until speakers and panelists gave life to it. Nat jokingly said "we have almost all the big names this year already, who else can we invite next year?" Haha! Yes, I dare say the line-up this year is impressive! We are immensely grateful to you who believe in what the FSC team is doing, and agreed without hesitation to commit your time. Your experience, knowledge and insights shared during the conference are invaluable and has inspired us in more ways than one. Not I just say say only, these are actual feedback we received from the socialikes. 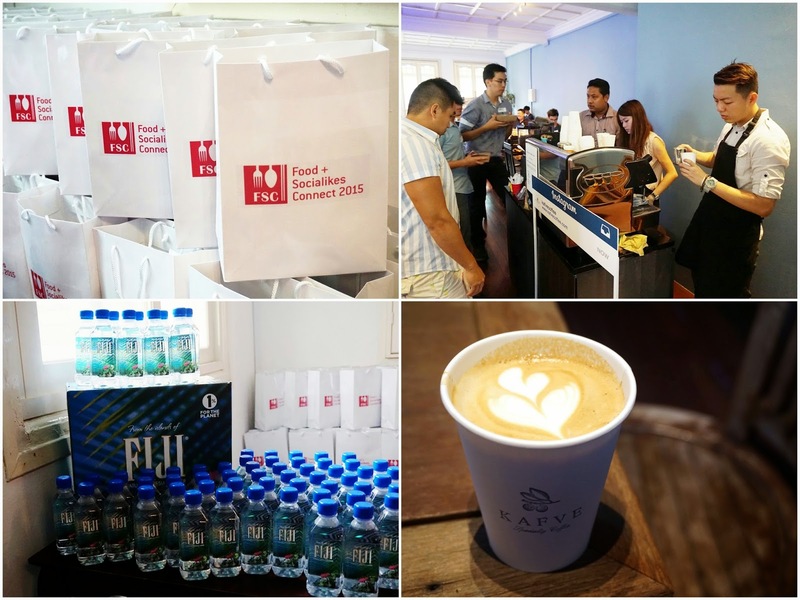 We had a roof over our heads, food to eat and beverages to drink from the start till end of conference, with even vouchers, prizes and bags of goodies to bring home! All thanks to our sponsors! Though there was an unfortunate mishap over the conference venue (read Daniel's Food Diary: Dear Café, Don't Say Yes, Then Say No. 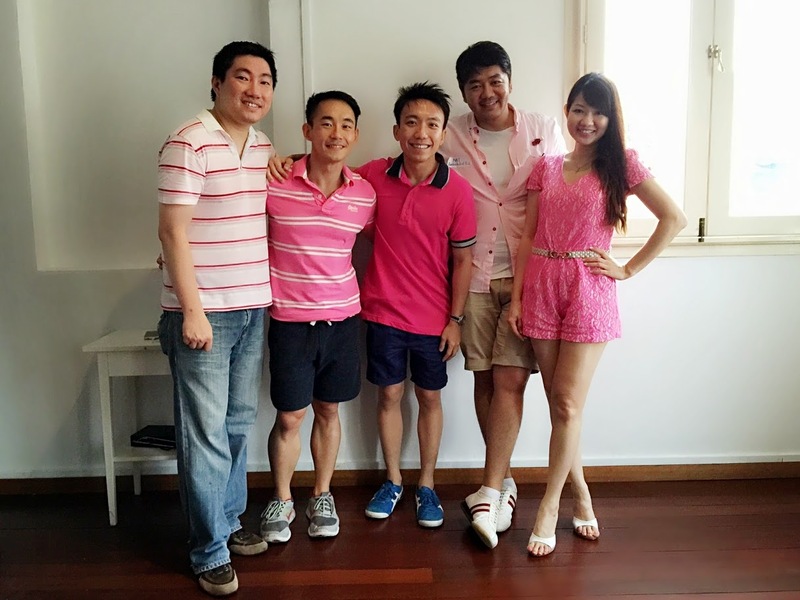 Because Of Money), it was sorted out fairly quickly when Lime House came to our rescue. They not only catered a suitable space, but went even further by arranging breakfast sandwiches and after-event cocktails for us too. We are also very grateful to all the other cafés/restaurants which came forward in offering us their premises. Kindness was also much felt as sponsors fixated on what they can provide us, instead of what we can give them. 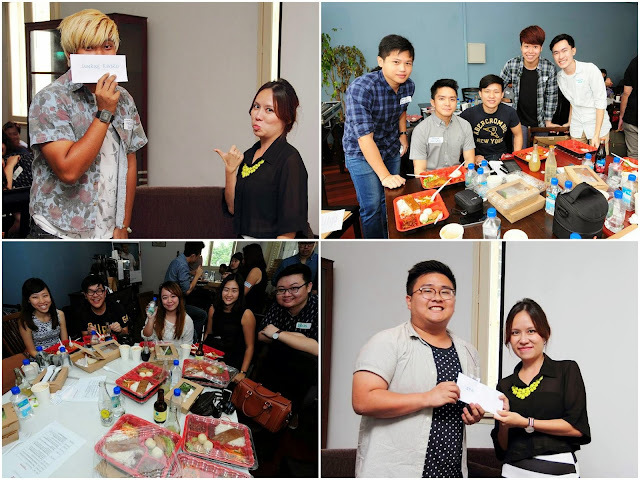 For instance, Jabez did not hesitate one bit when we approached Soon Huat for lunch sponsorship. 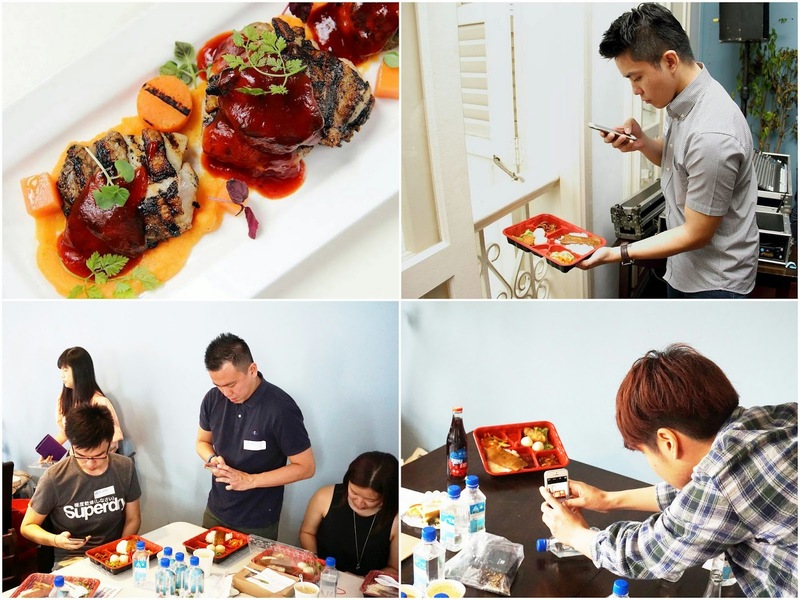 He did not ask what his restaurant can get in return (such as media exposure), but even personally oversee the preparation and made the delivery on time despite the kitchen having difficulties with the cooker that morning (Dear socialikes, I seek your gracious understanding if you're wondering why the nasi lemak bento didn't come with coconut rice that day). To hear what some of our socialikes have to say about Food + Socialikes Connect 2015, please follow the links below. Their write-up on the event are so detailed, it could very well be a vicarious experience for you who are not there. I guess the naysayers might ask: Why are we doing this? How does it benefit us? Are we making money out of this? All I shall say is, we are doing this out of passion for food, and love for the community.